The School Finance Indicators Database consists of two separate datasets: The State Indicators Database and the District Indicators Database. The links below allow users to download the full datasets (in different formats), as well as documentation. The primary product of the School Finance Indicators Database is the State Indicators Database, a collection of roughly 130 variables for each state between 1993 and 2016 (not all variables are available in every year). 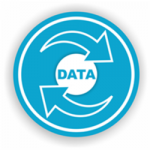 This dataset is designed to be used by both researchers and non-researchers, and includes extensive user-friendly documentation. Download the User’s Guide and Codebook: This document lists all the variables in the State Indicators Database, along with descriptions of the measures and other information (including data sources and methodology). Download the full dataset in Excel format: This Excel spreadsheet includes descriptions of each variable and the full dataset. Download the full dataset in Stata format: The full dataset available for Stata users (includes variable labels). Download the “reduced” dataset (Excel format only): This Excel spreadsheet includes only those variables presented in our annual report, for users who are more comfortable with a smaller dataset. This dataset is for more advanced users, and includes a set of district-level measures for all U.S. public school districts between 1987 and 2016. Note that this is a very large dataset, and may take a little while to download. Download the Codebook: This document lists all the variables in the District Indicators Database, along with detailed descriptions and data sources. Download the full dataset in CSV format: The full dataset in comma-separated format. Note: File is compressed. Download the full dataset in Stata format: The full dataset available for Stata users (includes variable descriptions). Note: File is compressed.